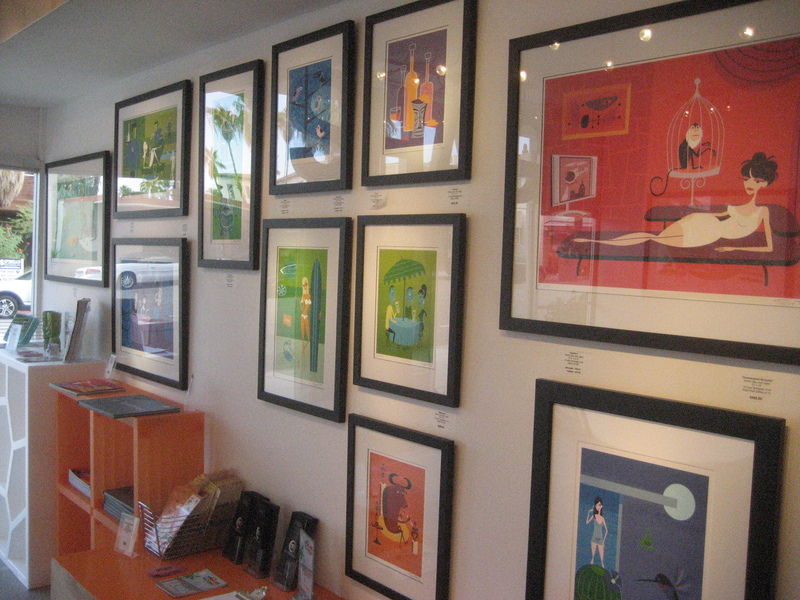 Last year, the folks at M Modern gallery opened Shag: The Store in Palm Springs—the first permanent retail space dedicated to the artwork of Josh Agle. It appropriately keeps some pretty swank company, with Trio Restaurant right next door and vintage and mid-century design stores nearby. 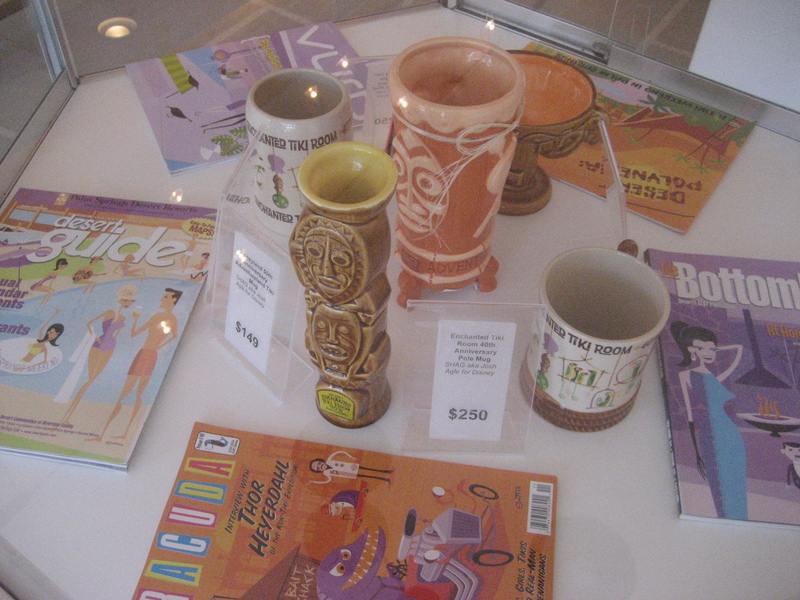 The store has an impressive stash of prints, mugs, books and other stuff, with many items that were previously sold-out. 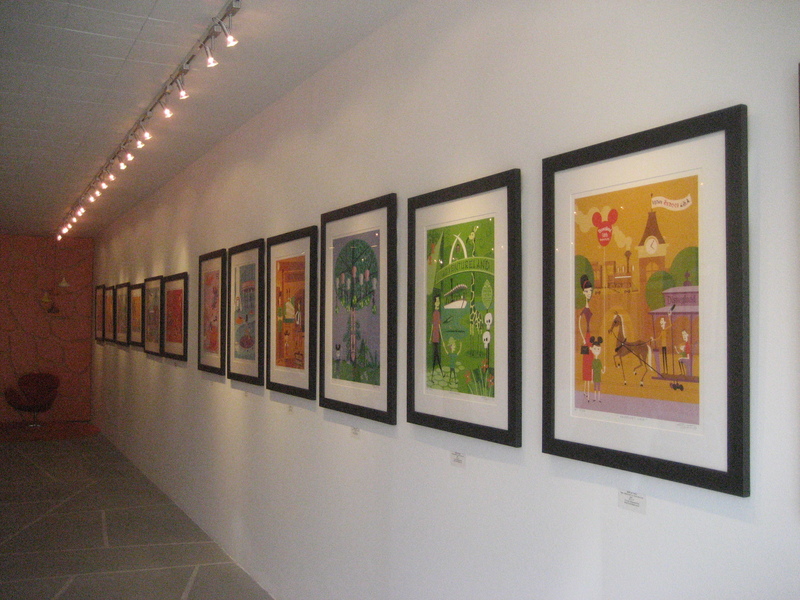 From time to time they also have prints that are exclusive to Shag: The Store, like the one coming up for their first anniversary. 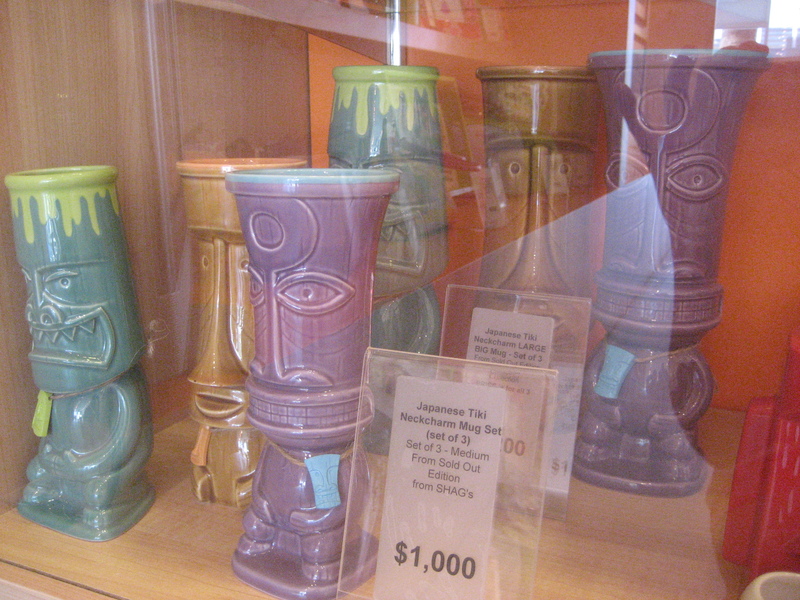 During our visit they were featuring Shag’s collaborations with Disneyland from 2002 to 2010, including the much-coveted mugs inspired by the Enchanted Tiki Room. 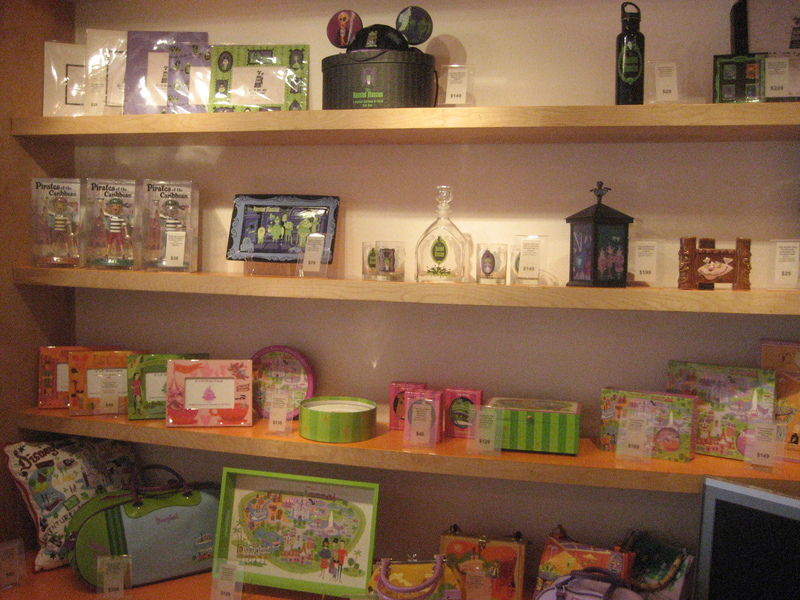 They also had merch from the Haunted Mansion and Disneyland 50th anniversary series. I was sort of startled to see a stationery set I own (and apparently foolishly used) going for nearly $200. (Though that price includes the cost of not having to time-travel back to Disneyland five years ago when it was originally being sold). 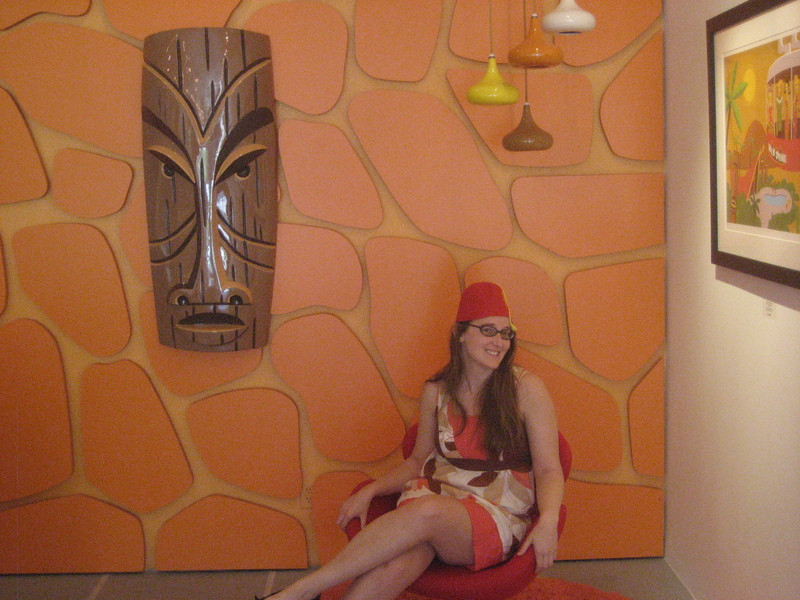 The neatest part of the store is this groovy backdrop wall with a Shag-style tiki where you can pose like you’re in one of his paintings. If you ask nicely they’ll even bring out a box of fun props like fezzes! 725 N. Palm Canyon Dr.
What a fun place!! 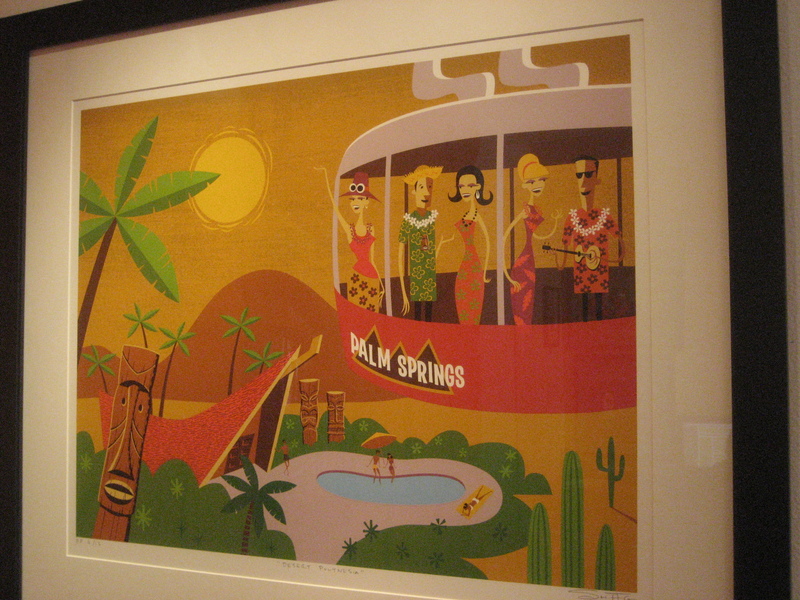 All of your posts on Palm Springs really make me want to go there. I love the photo wall. That is so fun!